At The Lighthouse School, students are exposed to various forms of art such as water color painting, ceramics, mixed media, and beeswax modeling. 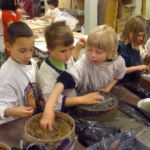 Creations often match various main lesson themes, allowing for deeper exploration of the content and opportunities to develop specific artistic skills. 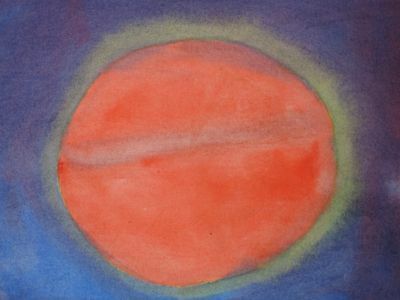 Younger grades begin with primary colors and wet on wet methods of watercolor painting. Older grades learn perspective and geometric drawing, and experiment with other media including pastels, charcoal, and pen and ink. Grant projects have supported the creation of a Human Sun Dial in our Garden and an interschool ceramic sign for the front of the building.